Local skier Josh Daiek looks at a spicy line. Daiek is featured in Salomon’s Blank Collective: Bearing that will be shown Dec. 2 during the fourth annual Kirkwood Deep event at Kirkwood Mountain Resort. Kirkwood Deep is coming home this year for the first time. The fourth annual event had been staged previously in the Bay Area but will take place Dec. 2 at Kirkwood Mountain Resort. It’s scheduled as a day-long event but the festivities will pick up after dark when Heavenly and Kirkwood’s senior communication manager Kevin “Coop” Cooper hosts the GoPro awards right after a showcase movie — “Salomon’s Blank Collective: Bearing” — which features local skiing superstar Josh Daiek. The event runs from at 10 a.m. to 2 p.m. in the plaza with the latest demos from leading ski and snowboard manufacturers. Skiers and riders have the opportunity to sign up for Expedition: Kirkwood, a program for avid adventurers that offers lift access to the backcountry within the resort boundaries. Kirkwood rescue avalanche dogs and their handlers will be available to meet and share information. 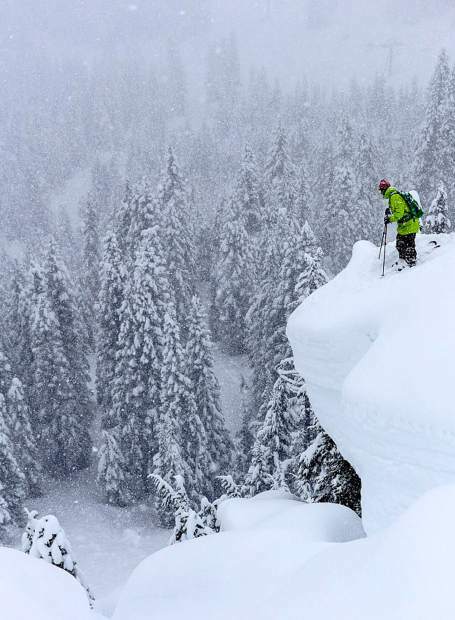 They can describe what it’s like to open the mountain on epic powder days. Backcountry adventurers can bring in their beacons and have them tested. At 5 p.m., it’ll be movie time with Daiek, in his third film, crushing pillow fields of snow along with a few others. Following the movie, Cooper, with his stoke meter pinned, will showcase the finalists for awards in seven categories including: Male/Female Rider of the Year, Grom of the year, The Family Shreds Together, The #KirkwoodDeep connection and BigMtn Jib Edit. Following the awards, people can listen to music from Idea Team and DJ Logic and hang out and share stories while getting primed for the winter season.